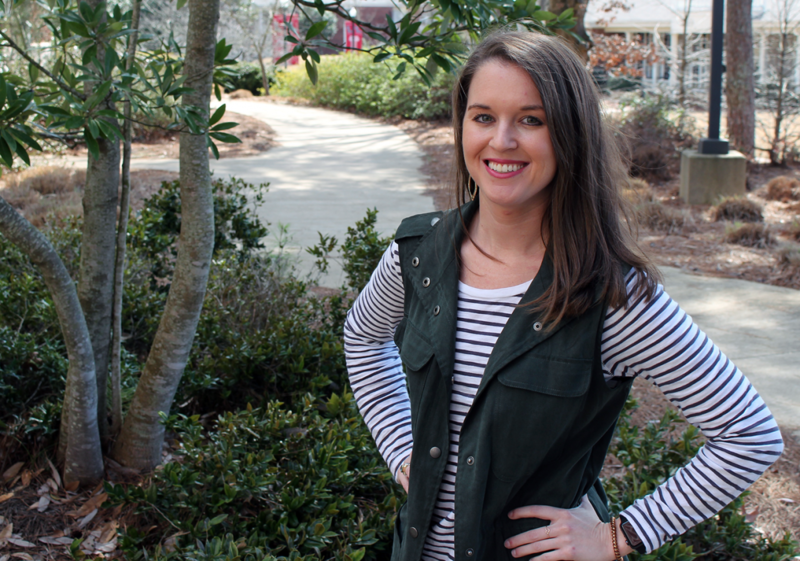 New Albany native Mary Catherine McClinton is an elementary education major and at the UM School of Education. When McClinton isn’t spending her time playing USTA tennis or taking her miniature schnauzer, Nola, to the park, she can be found around Guyton Hall or completing her teaching observations at Pontotoc Middle School. A UM alumna, McClinton earned a bachelor’s degree in liberal studies from UM in 2011 and later went on to establish her own social media marketing firm. Since then, she has made the decision to return to Ole Miss to pursue teaching as her new career. We recently sat down with McClinton for a quick chat. When did you realize that you wanted to pursue a career teaching? I always knew that I wanted to be a teacher. I just wasn’t sure at the age of 19, so I waited until I was 28 to come back to school and get my degree in elementary education. I think I first realized (that I wanted to teach) when I was five years old. My Mimi—my mom’s mom—was a teacher in Okolona. I always wanted to be like her, she’s my role model. What is it like being a non-traditional student at the SOE? I take this degree more seriously than I probably would have the first time around. I’m older, I’m paying for this degree myself and now I know what it’s like in the workforce, so I feel like I know what things I need to pay attention to. What is your favorite aspect of being an SOE student? I think it’s the connections I’ve made with classmates and seeing the different backgrounds of students. It’s also really interesting to see the different backgrounds of our professors and what kind of classrooms they’ve been in. I have one professor who worked for the Department of Education in Washington, D.C., so it’s neat to hear about her experience doing that. So far this semester, I like all of them equally, but last semester my two favorite classes were my Classroom Management Behavior class with Dr. Soares and my Early Literacy Instruction class with Dr. Mott. Is going back to school challenging? The hardest part about going back to school is getting in the routine of studying again, and realizing you’re one of the oldest people in each class. Do you have any advice for someone who is considering going back to school? It’s not too late to change careers. For some, at the age of 18, 19, 20, you don’t know who you want to be or what you want to be when you grow up—that’s always going to change. I think it’s absolutely OK to go back and get a different degree, if you realize something isn’t for you. What inspires you to be an educator? Being from Mississippi, I’ve always been partial to Mississippi public education. I’ve always wanted to help create change. 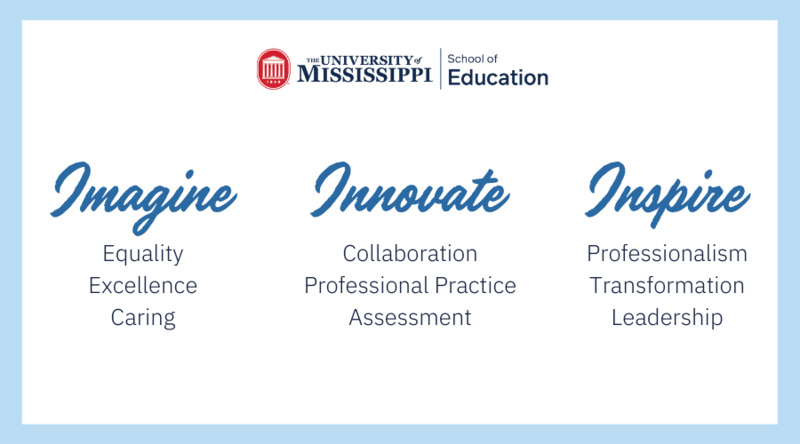 It is my goal and my dream to help make a positive impact on Mississippi education, and also impact the lives of students that I teach, inside and outside of the classroom. Hopefully I’ll be teaching at a Mississippi public school, preferably elementary or middle school. I would love to be an English professor at some point in the future. I would like to help students learn to read and love to learn to read. I’d also like to connect with each student in different ways. I’m a big proponent of integrating movement into the classroom, too.